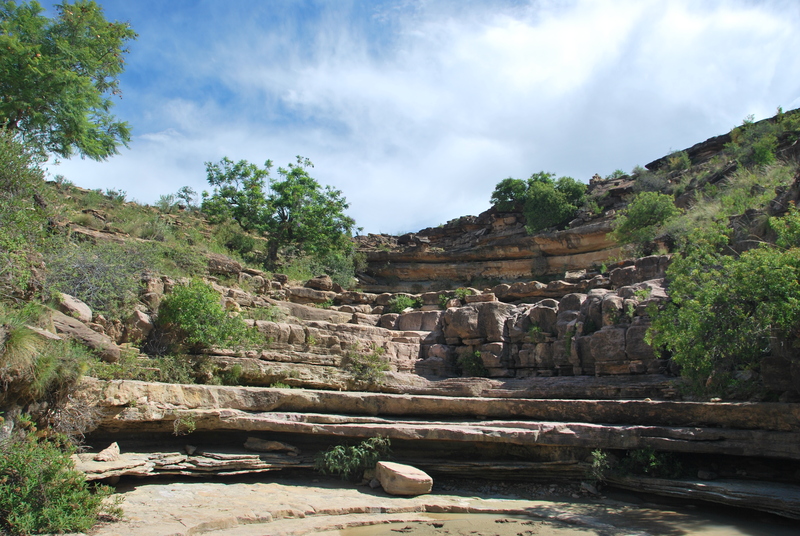 Torortoro – More than just dinosaur footprints. From Rurrenabaque, we made a quick pit stop in La Paz before heading south to Cochabamba. 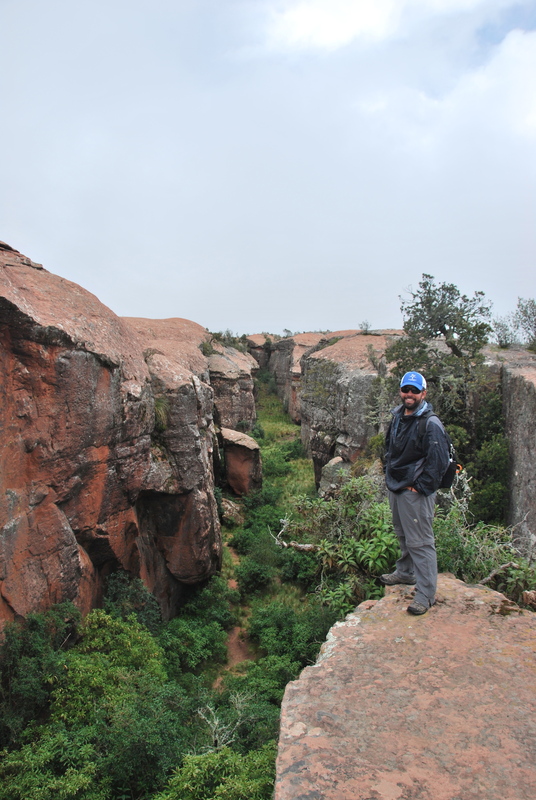 Cochabamba was just a quick layover to help us organize a tour to Torotoro National Park. We didn’t know too much about this park (other than it has dinosaur footprints- enough for us), but it looked like it would make a good stop. 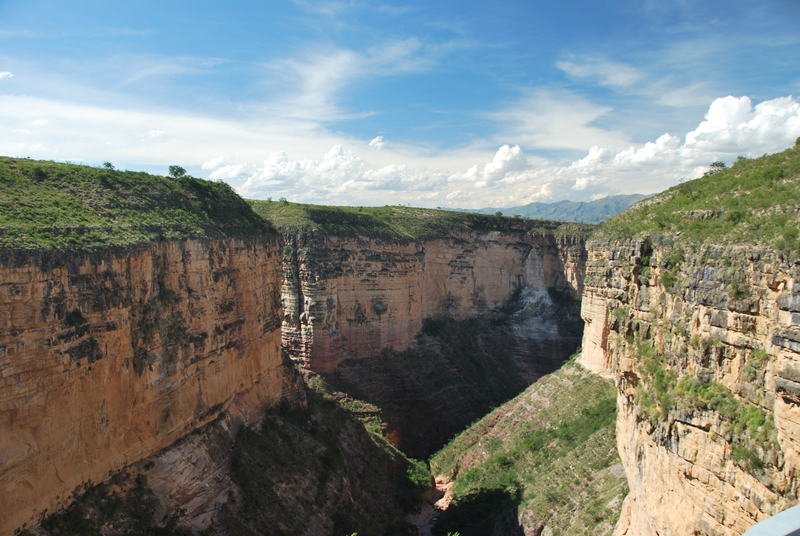 It ended up being one of our highlights in Bolivia (and maybe South America), as it had not just the dinosaur footprints, but also marine fossils, amazing canyons, caves, and great hikes. There isn’t a lot of information about Torotoro in books or even on websites. Luckily, we stumbled across Hotel El Molino in a travel forum (www.elmolinotorotoro.com). 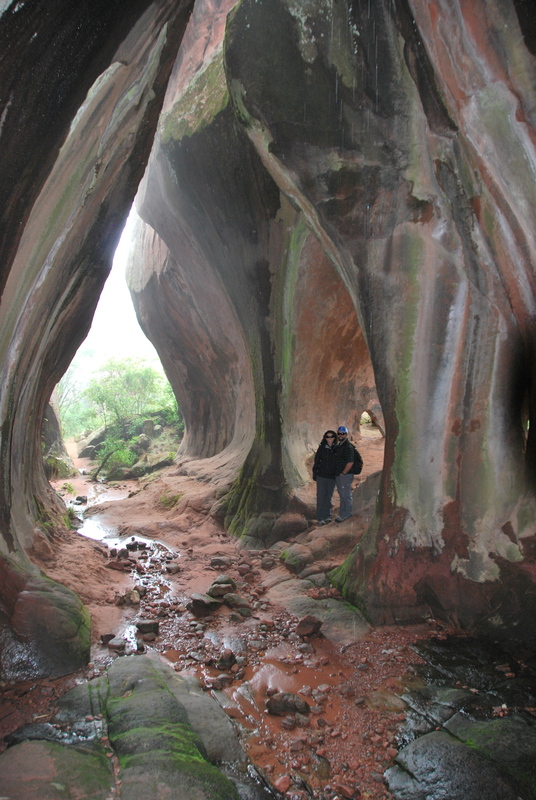 We contacted Rigo and easily arranged a 3N/4D tour of the national park. He even had us combine with another couple making the 4 day tour (for 4 people) cheaper than the 3 day tour for just us. 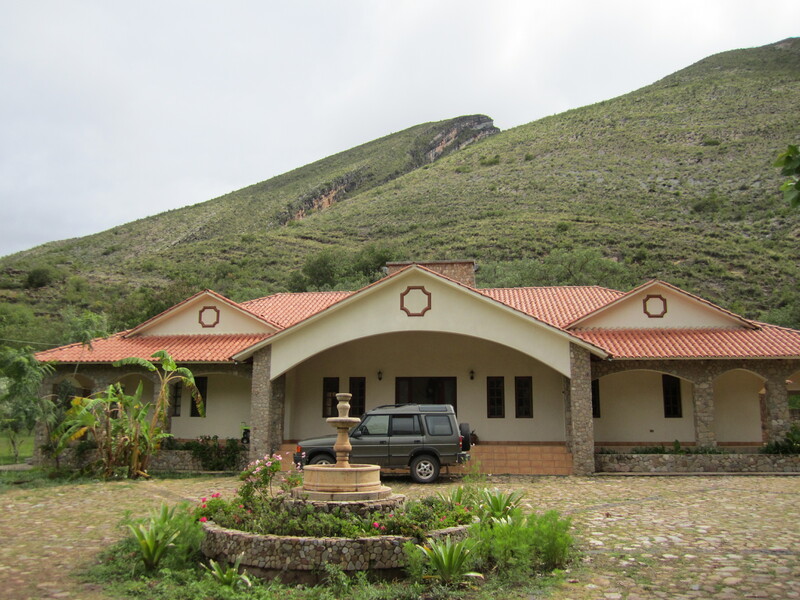 We were stoked that we would get more time in the area for less money and El Molino takes care of EVERYTHING: transport (to and from Torotoro and to all the sights), guides, accommodations, and all our meals. Although we normally like to do a lot on our own, this package deal saved us time, hassle, and even money. Once we had the tour booked, we were able to relax and explore the local area and taste the incredible cuisine of Cochabamba. This region is well-known for their excellent food and we were not going to miss out on any of it. Cochabamba is also known for their Cristo de la Concordia statue. This is a statue of Christ that stands 34.2 meters (112.2 feet) tall. Somehow this statue is .2 meters taller than the famous statue in Rio de Janeiro. I am sure it was purely an accident that it ended up a smidge taller. 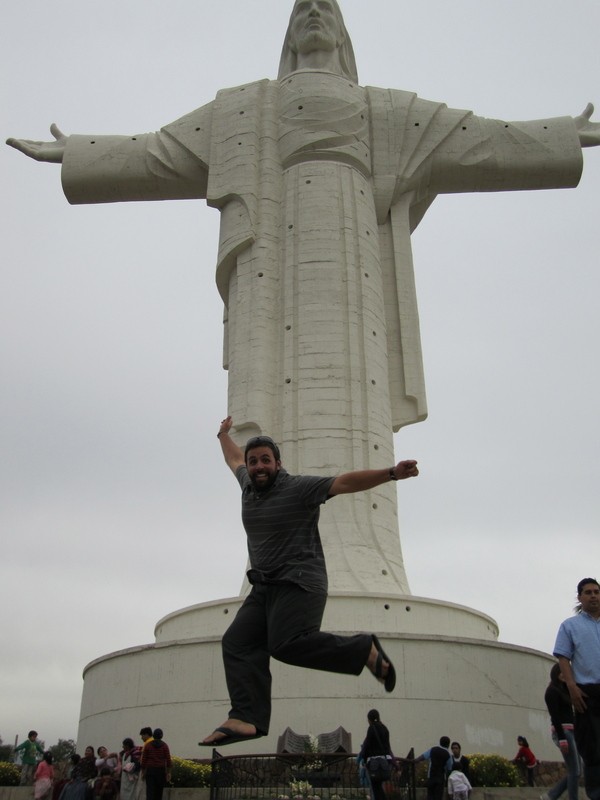 Cristo de la Concordia y Jose - And yes, Joe is 6 feet off the ground. While we were at the statue checking out the 360 degree views, some adorable little girls found it more interesting to hide behind Joe while we were taking pictures. They would peek their little heads out and giggle like it was the funniest thing in the world, this made Joe giggle, I mean, laugh manly. The statue is positioned on the top of a hill, overlooking the city. 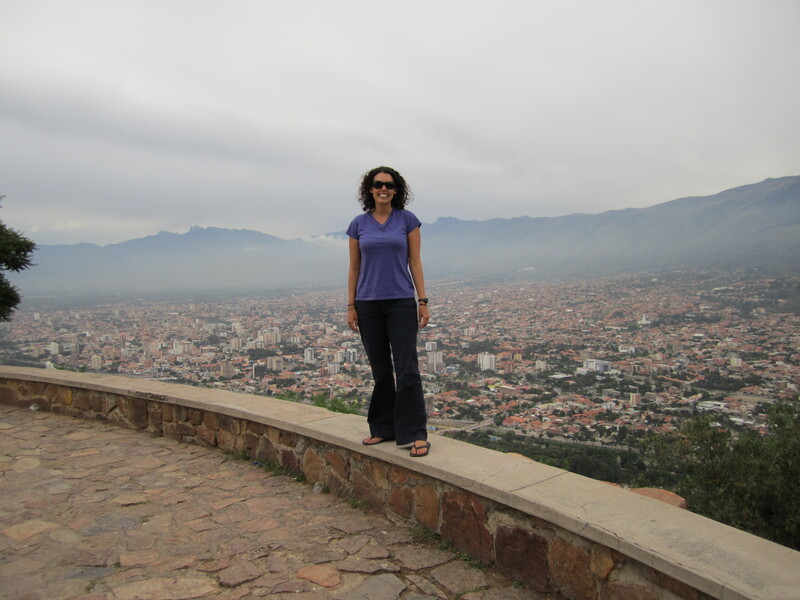 It had great views of Cochabamba and the surrounding area. Joe even spotted a golf course from up here and it made his heart skip a beat. Kris taking in the views (she wasn't as excited about the golf course). Early the next morning, we were picked up for our tour and we met the other couple that we would be spending the next four days with. From past experience, this is somewhat of a nervous time, as you never know with whom you might end up. This time, we totally lucked out when we met Luis and Sarah. They are from England and were also traveling around the world for a year. We ended up all being the exact same age, and we knew right away that this would be a good trip. We piled into the Land Rover and started the four-hour journey to the town and national park, Torotoro. We rode over bumps, around curves and even through a few rivers, but we safely made it our amazing hotel. It was situated on a few private acres, and it had a river in the front and mountains in the background. The house had a great sitting area out back, comfortable rooms, and plenty of places to relax. Our hotel and trusty "steed" (as Sarah put it). But, we were not here to relax, we wanted to see everything! First, we had an amazing lunch (by the way, all the food at the hotel was really good), and then headed out for our first activity, a hike in the area known as Vergel. After picking up our guide, Victor, from the town square, we took a quick drive and started the day’s adventure. 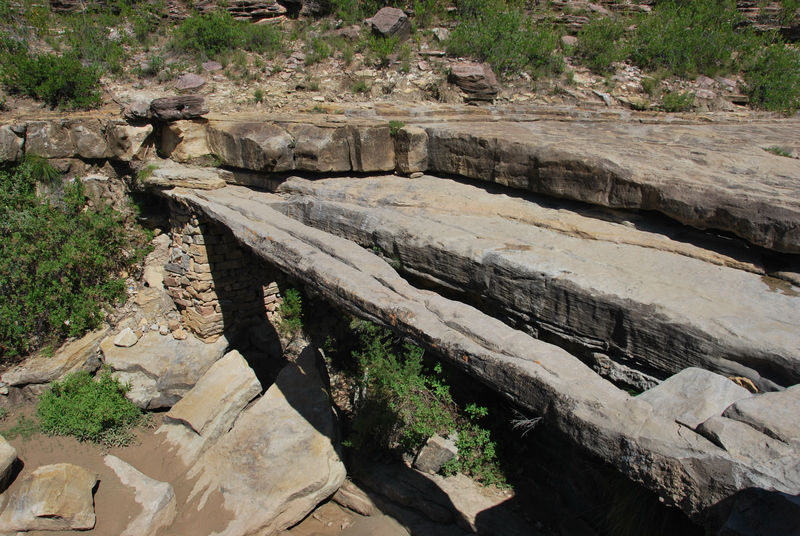 We hiked down through a riverbed, past dinosaur footprints and amazing rock formations. Kristen crossing the "Friendship Bridge" by herself.. Kind of ironic. 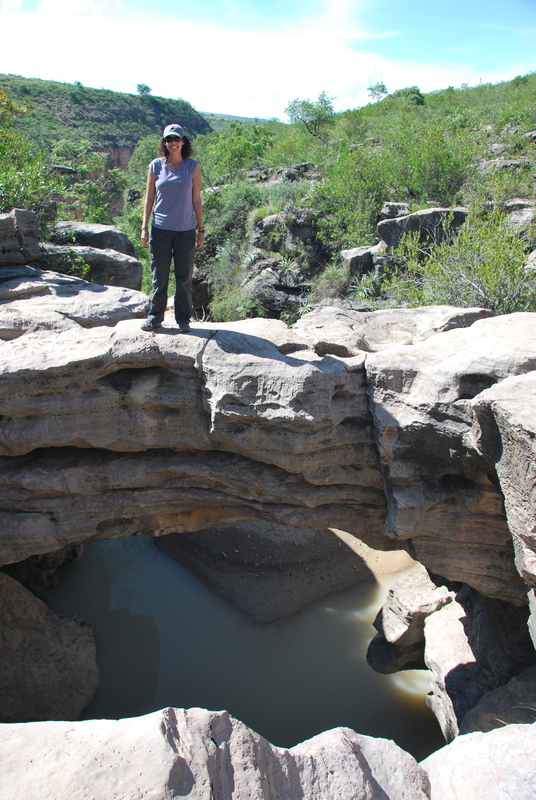 At one point during the hike, we came across an amazing bridge hanging out over the canyon. 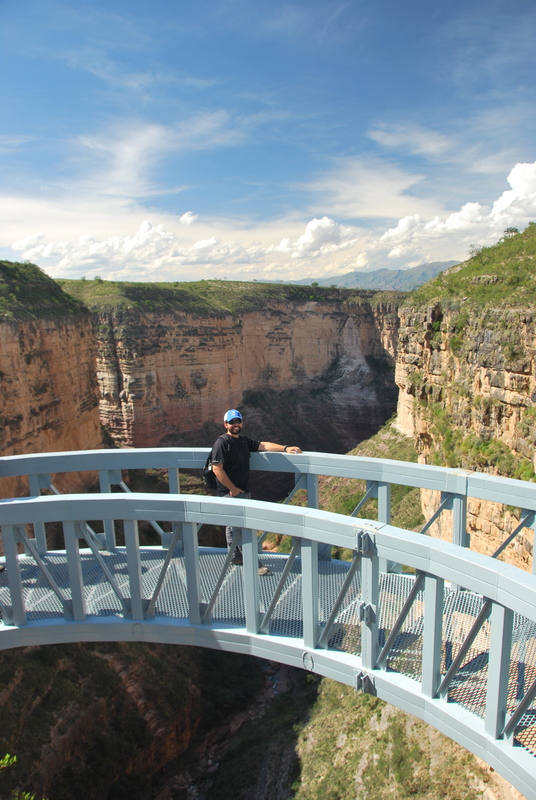 We spent a lot of time taking in the scenery in this massive canyon. We were surprised that we never saw anyone else during our entire hike; something that would never happen in a national park back home. 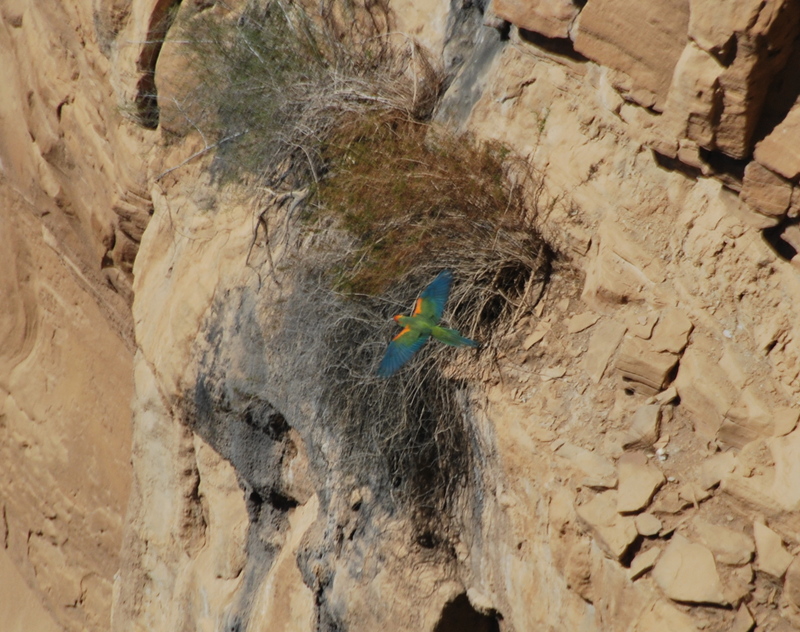 This canyon is also home to a very rare species of the macaw, the “Red-Fronted Macaw.” There are only an estimated 1,000 left in the world and we couldn’t believe our luck when we spotted two flying around the canyon. These guys didn’t seem as big as the ones found in the jungle, but they were just as impressive. 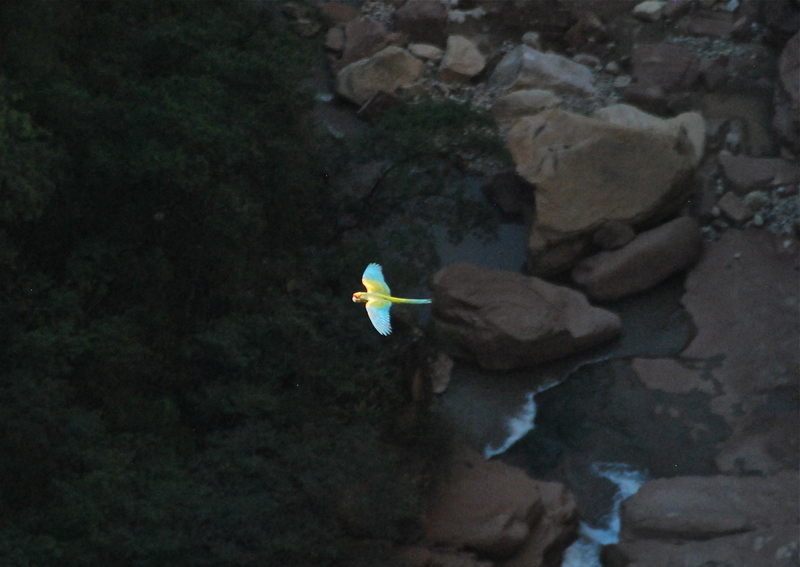 It was incredible to be above them while they were soaring- it’s not often you see a bird from a bird’s-eye view. After enjoying the view over the canyon, we hiked down into it, boulder hopped around, and ended up at an incredibly lush waterfall. 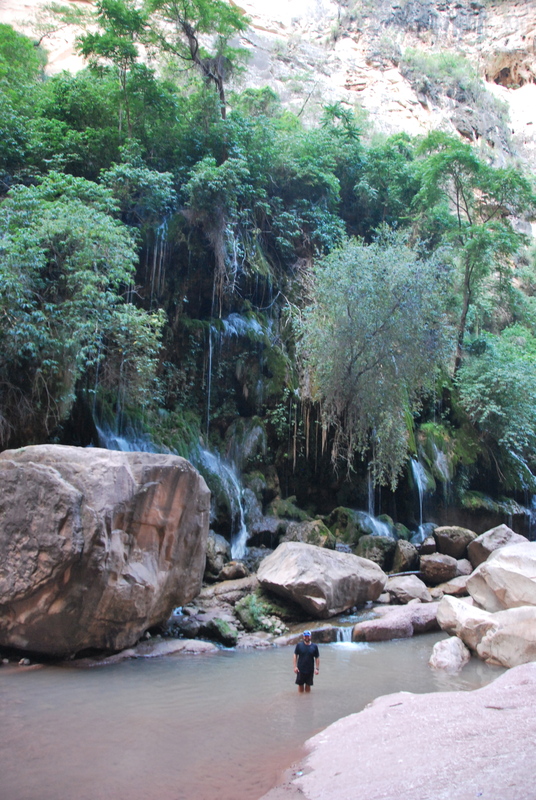 This waterfall doesn’t look like your typical cascade, but it is fed from an underground river, so its water source is a bit of a mystery. This waterfall is the first point where the water sees the light of day. Joe testing the water. Waterfall in the background. We then hiked back out of the canyon (not quite as easy as it was going in), and went back to the hostel for dinner, relaxing, and chatting. Day One in Torotoro: complete success! 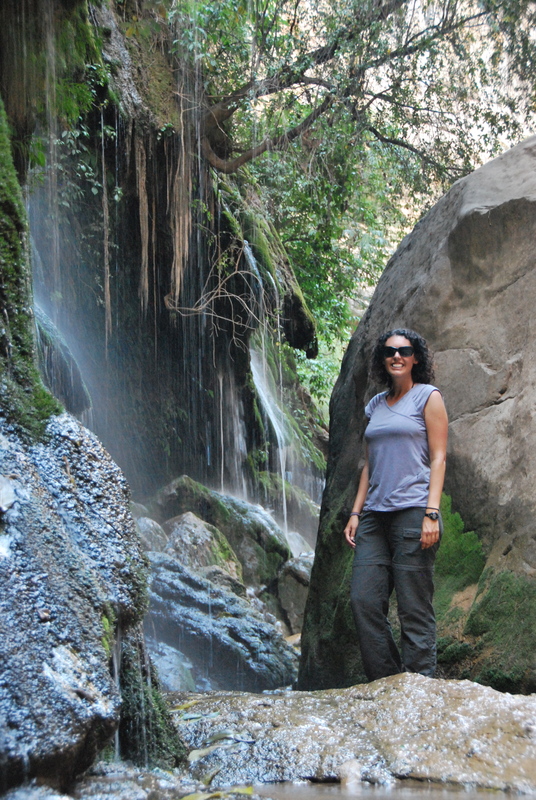 The next day, we went to another canyon/rocky area, Cuidad de Itas, to explore some cool rock formations. 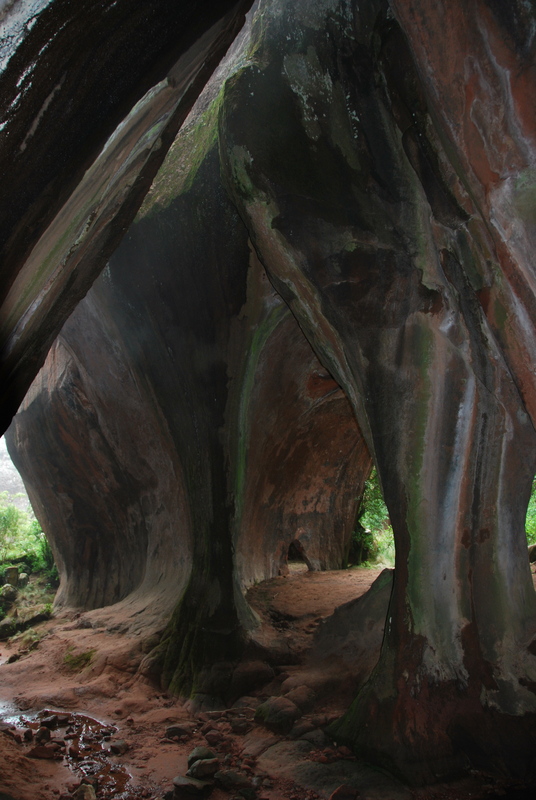 This area was used by cattle robbers many years ago to hold their stolen cows, and there are many myths about the cattle roaming through the caves. We didn’t see any cows, but the rocks were more than enough to keep us interested. Once in the canyon, the caves have a very cool tear drop look to them, and once again, we were the only ones there to explore. It was a little bit rainy and cloudy when we showed up, but it seemed to give the place a mysterious look. Joe and Kris watching the fog roll in. 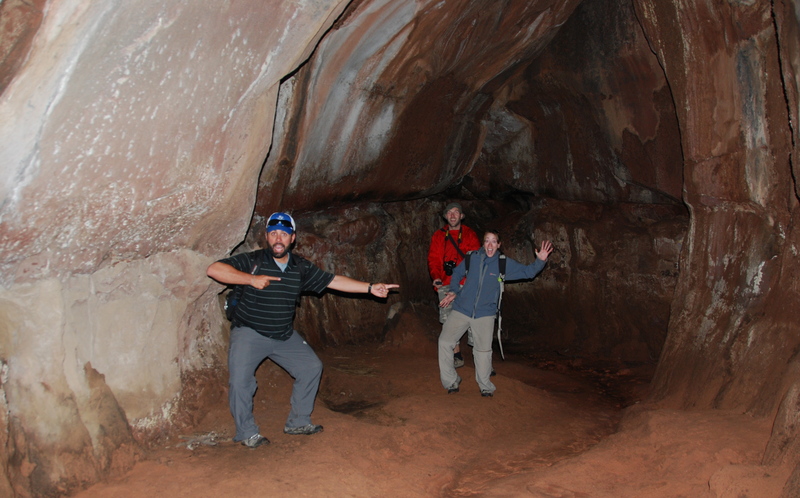 Our guide, Victor, knew just where to take us and also had a good stories to tell us as we walked through the caves. 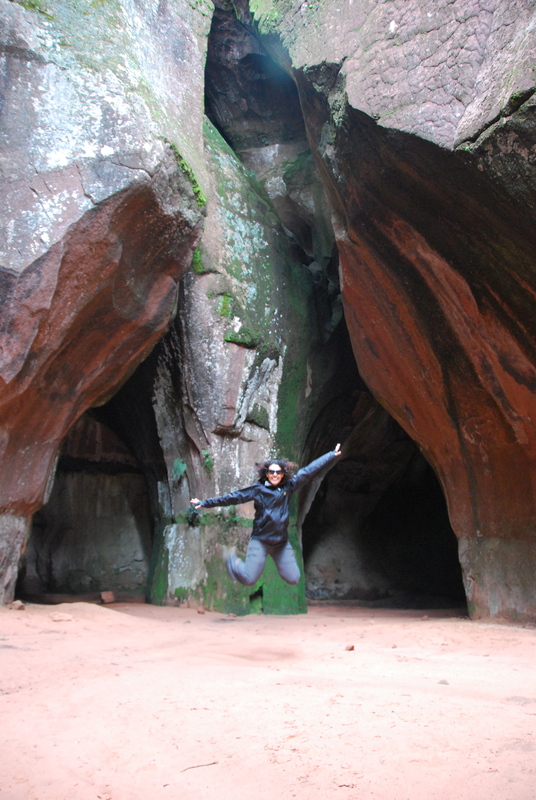 This cave was so exciting that Kristen could barely stay on the ground. One cave we went into was pitch-black and we decided to take a picture in the complete darkness. Not knowing how the picture would turn out, we counted to three and Kristen snapped the shot. Joe had no idea what he was pointing at in the dark. For the entire trip, our guide was carrying a bag with him. We all assumed it was just water or supplies, but it turned out to be a very important rope which we would use to scale a small cliff face on the way out of the caves. Who knew this would be a full body adventure?! 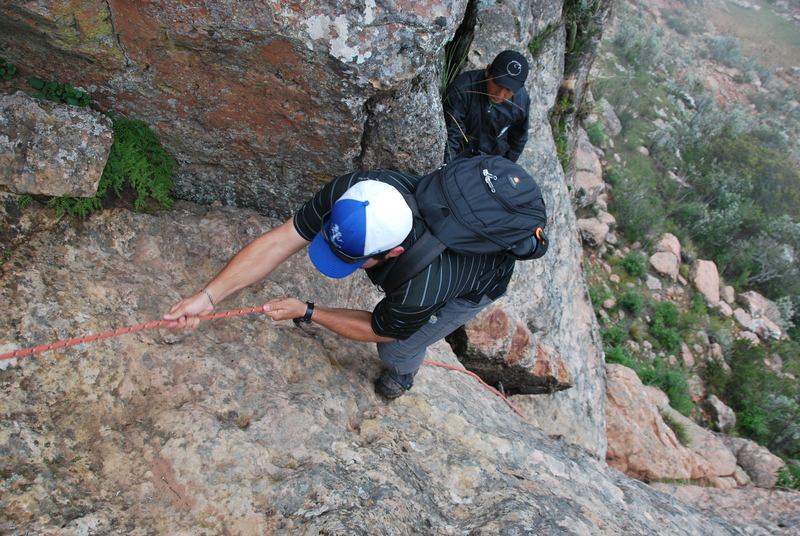 We were enthused by our mini rock climbing adventure, and from this point on we always wondered what Victor had in his bag of tricks. 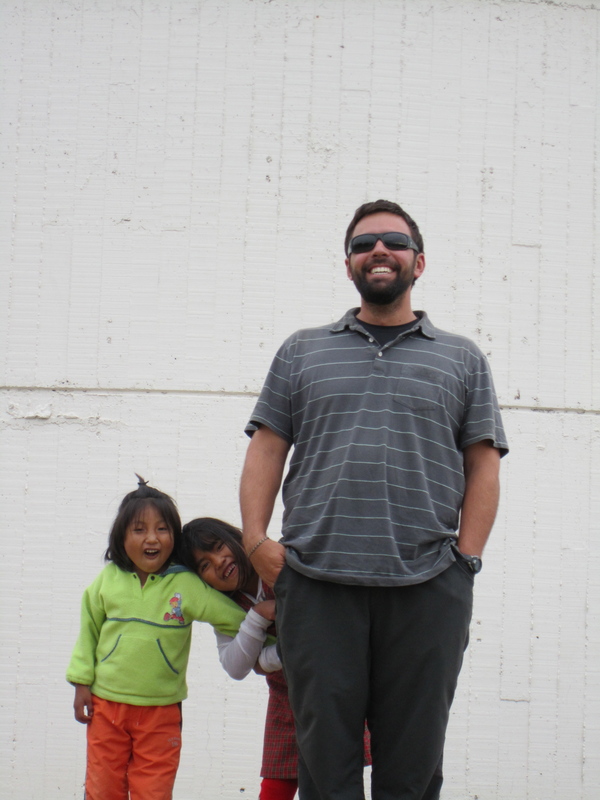 This area was quickly becoming one of our favorite places in Bolivia. We are not sure if it was the stunning scenery of Torotoro, the great conversation with Luis and Sarah, the ease of having everything taken care of, the lack of tourists (or people in general), or a combination of all of the above, but we were already totally stoked that we decided to trek out here. More to come from Torotoro, including our main reason for coming out this way… dinosaur footprints. 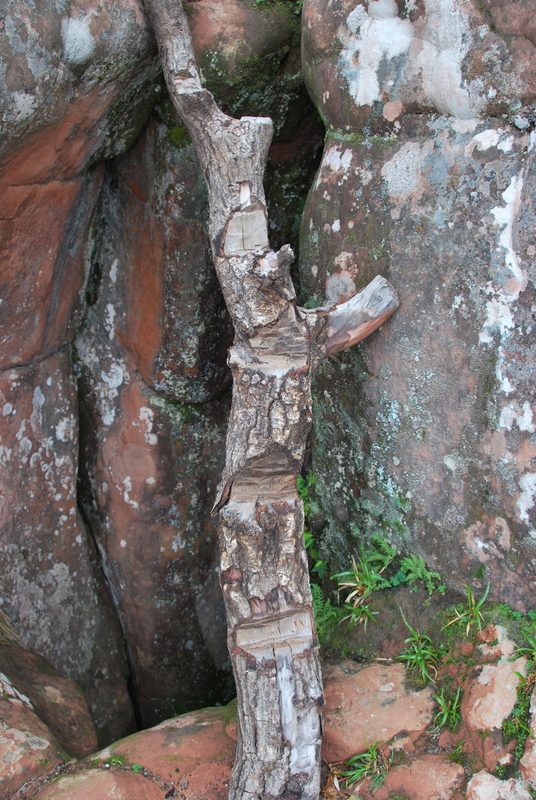 This entry was posted in Bolivia and tagged dinosaur, dinosaur foot print, foot print, Torotoro. Bookmark the permalink. 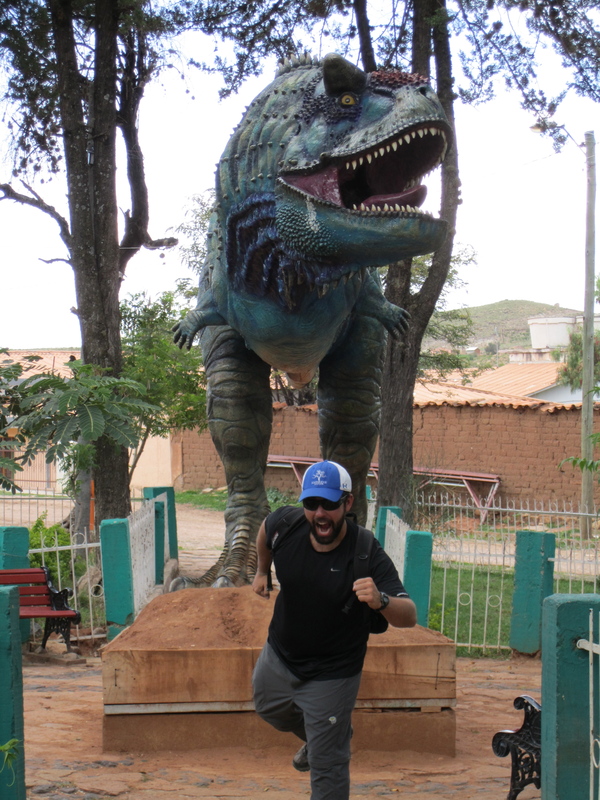 4 Responses to Torortoro – More than just dinosaur footprints. 2. Those caves were the greatest things ever. 3. That rock climbing adventure looks amazing. 4. The ladder you used looked like something I would make out of sheer laziness to qualify as a ladder. 5. If the national parks here were that uncrowded, I think I’d live there. 6. I am definitely obsessed with Bolivia now.